With a long and somewhat turbulent history behind them, Israeli Death/Doom band The Knell have been dormant since relocating to Chile. Comrade Aleks investigates their status, with the invaluable assistance of founder Alec Zalogin. "The Knell is a band with a cool name and a murky history. 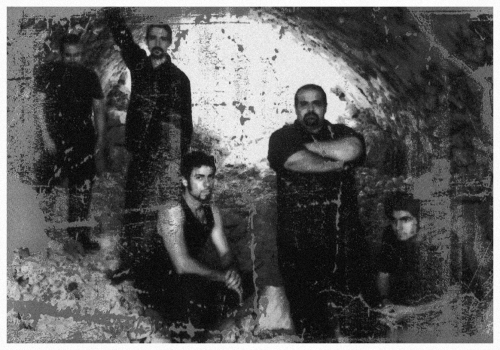 Being founded in the late '90s in Jerusalem, they managed to record their first and only full-length album, 'Harm' in 2007, after a series of demos. 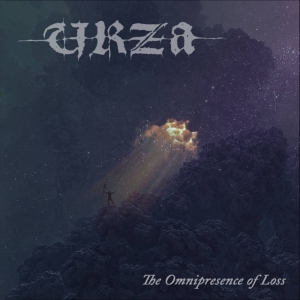 Lineup changes, a location in which is far from perfect to perform any Metal music, it seems, other issues... Well, despite everything The Knell released a proper album which combined British Death/Doom and that dense sound which seemed to be common amongst US bands like Winter. It wasn't an especially polished album, but it wasn't a dirty underground piece, either. Little is known about the band's later years, but thanks to Facebook I was able to get in touch with the band's guitarist, Alec Zalogin, who now lives in Chile." 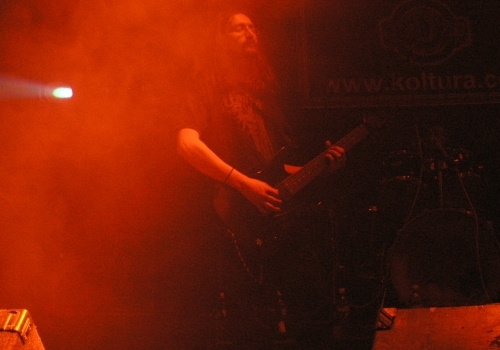 In the hot seat, The Knell founder Alec Zalogin (Guitar, Vocals). The Knell was formed back in 1998: the Death/Doom scene was already settled and the rules of the genre were carved in stone. So, what was on your mind when you gathered for the first time as a band? What was the original line-up? To be honest, back in '98 there were only talks, and some basic guide tracks recorded, so that's not entirely correct to say that we were formed. In fact it was a sort of one man project trying to make a proper band, get some help from friends who were better rooted in the recording and production scene. It was only one year later that project got its definitive name. The original line-up were Noam Kimhi and me, Alec. The death doom we played is just what came out from my love of all doom metal while Noam was a fan of death metal at the time. I was guided by rules of the genre, but wanted to tell my own story. During the first few years you recorded only two demos: what were your intentions behind these works? Did you gain any recognition with these records? The idea was to move forward with every opportunity we got, record tracks and find band members to have a functional unit. If memory serves me right, the first demo was recorded and mixed in total of about 7 or 8 hours. It got some recognition, some good words, some moderate criticism. Wasn't the demo we were hoping to end up with, but it got us full line-up for a few months. We tried to record more tracks, but due to some errors on our part (mostly in chosing studio to record in) the recovered recordings were just horrid. Pity really, because there in the studio we actually got the sound we always wanted to have. The second demo is just that - a display of what we could salvage. That one wasn't even properly distributed by us to save some dignity. Did you play gigs during the early years? What role does the live aspect play for The Knell? Playing live was an elusive dream and something to dread at the same time. We had a hard time keeping a stable band and there was a constant anxiety. The first live appearance confirmed was also a reason the band called it quits for the first time. The drummer just vanished and couldn't be contacted a couple of weeks before the scheduled date. We tried to pull it off by all means, anyhow, find a replacement... That caused a lot of tension between all of us. That was back in 2003. The first time we played a set it was already 2005. The 'Harm' line-up: Ernst Elzas (Keyboards), Alec Zalogin (Guitars), Alon Zadka (Guitars), Noam Kimchi (Vocals), Nir Baruch (Drums). Alec, when did you move to Chile? Did you gather a new line-up after that? I moved in 2011. Fittingly enough, each and every of my instruments was damaged in the transit - something that took a decent amount of time to recover from. I did record my parts for another unrealised Divanity/The Knell collaboration, using the least broken of the guitars. 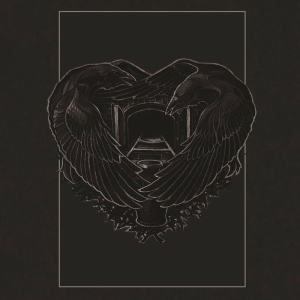 The Knell's full-length album 'Harm' wasn't released until 2007. What slowed down the work on it? It could have been done sooner, but we decided to play a gig before and sort out some personal issues within the band. One bass guitar player less, and a new kid behind the drum set. Apart from that I was doing 10-11 hour shifts at work to afford the studio time. How did the band compose these songs? Did you have some general idea behind their lyrics? Some of those tracks were on the demos, we just wanted to give them proper funeral caskets. The newer tracks came easy. There was no shortage of riffs and ideas at any time. Most of the songs were brought nearly completely assembled and were given for a personal interpretation or change in the rehearsal room. Lyrics... Noam wrote his and I wrote mine. How important were lyrics for you? What kind of feelings or messages did you put into them? Very important. Only once I used a "what if" concept, writing an imaginary story. The rest describe an actual moment, a real event, a personal message. Through the lyrics I spoke about loss in the family, showed rejection to people and ideas, released desperation. My personal viewpoint was to avoid a romantic side - something that, despite my protests, appeared in Noam's lyrics. How much time did you spend in the studio recording 'Harm'? Under what conditions did you record it? We recorded the drums in one day, in the big studio/concert hall and then moved in another smaller studio that belonged to the record producer to record the remaining parts. It took 5 - 6 sessions overall, I guess. 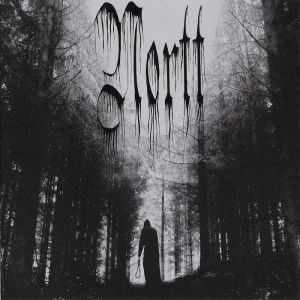 Main discography: 'Harm' (2007), 'Cerement' (Single, 2007), 'Seven Bodies In One Grave' (Collaboration, 2011), 'Winter Shade XIII' (Compilation, 2013), all on Totalrust Music. Was it difficult to work as a band in the studio? What was the most difficult part for you? There were a lot of line-up changes in The Knell, who were or are core members of the band? What's its current line-up? The core members were always Noam and I. The members who influenced the inner work greatly and I personally deeply regret we have lost were Adam (bass guitar) and Amir (guitar), Liri (drums). 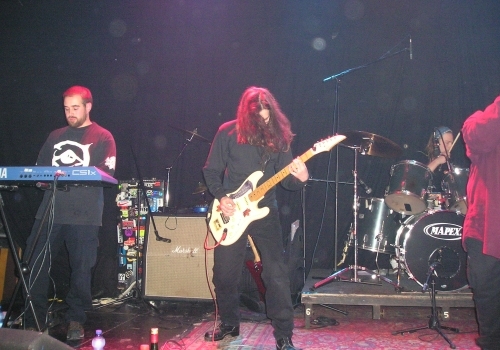 For a huge chunk of the band's history we were supported by Alon on the guitar. After releasing the album, we had a heated discussion about our vision for the band and music, as we couldn't compromise anymore. I guess that is usually called "musical and personal differences". Noam moved on thinking about a new project and I used the name on another couple of recordings with no stable line up, just friends in the studio recording loose tracks. There was the 'Seven Bodies In One Grave' collaborative project. What's its story? How did you create this album? 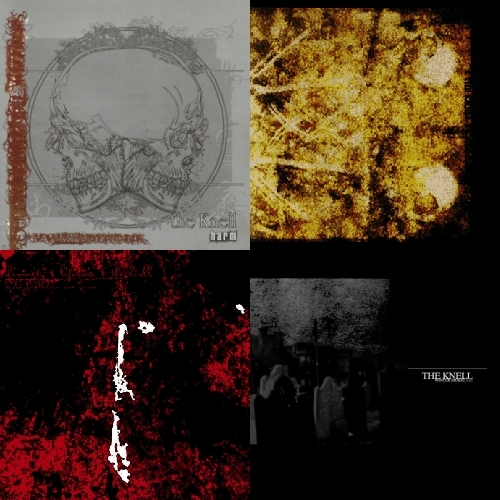 A few "band members" of Divanity, Lifemare and me recorded some low-fidelity hybrid of sludge, doom, noise and funeral doom throwing various parts in and trying to expell our personal negativity. It was just supposed to exist somewhere, heard or not. Can you tell more details how did you manage to organize it? Did you record it altogether in one place or through internet? All of us either played together at some point or supported each other live. There was a lot going on with personal life, with society, with scene... I was going away for good - and it was the right moment to record something alongside friends, and most importantly play it live. So we recorded it bit by bit, sometimes gathering in the small studios, sometimes recording alone, sending parts. How did you share your duties with other bands for this project? It was like, "you guys lead here - I'll play along" and then the other way around. I am not sure, but apart from that 40 minute track, we recorded another few "short" tracks - 5 to 10 minutes long based on loose riffs and jams. None of those got the vocals in the end though, and now I don't really know their fate. There was a 2010 single release 'Cerement': it's said that just 12 copies were released. How did you work on it? What kind of stuff did you have there? There was a plan to release a split with our friends from Imindain and that was our track for it. Everything was ready. We had both masters, artwork and all, but nothing happened. Shame really, because I am proud of this song and Imindain's part was nothing short of great. After awhile, I just made 12 promo copies on CD-r so Gad (from TotalRust music) could give it away either at gigs or as a distro freeby. What's The Knell's current status? Is there a chance that you'll return with new material soon? In Chile, I can't really use that moniker anymore, since there are more bands similarly named. It is not dead for all I care, just dormant until and if... Just like unfinished collaboration - stuck in production limbo. Well, the Knell was cursed from the start. For every step forward there were 3 backwards and it's with a pride I see that we managed to create anything at all despite ever-present bad luck. We were honest and naive, but never a sham to play without heart in it. Visit the The Knell bandpage. Interviewed on 2018-08-29 by Comrade Aleks Evdokimov.